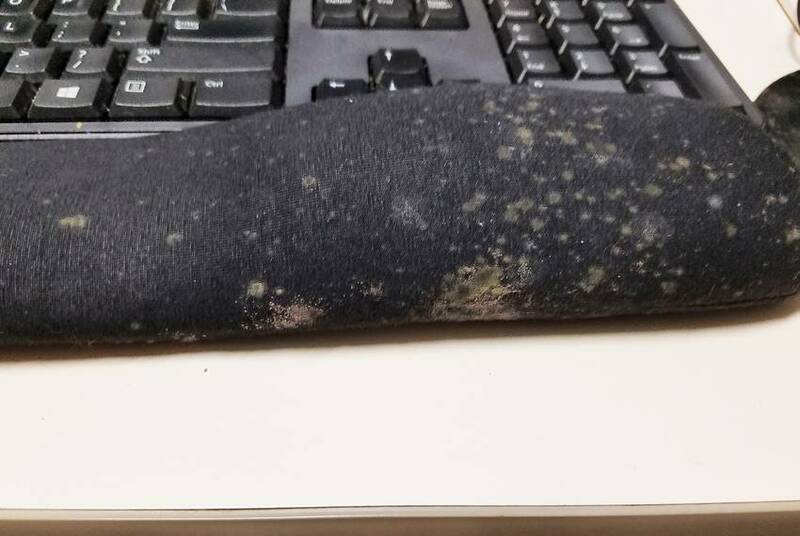 Texas Department of State Health Services employees are being relocated from the Austin State Hospital 636 building where a mold infestation has invaded their desks, chairs, carpeting and keyboard hand rests. The news comes one day after The Texas Tribune reported the mold incursion. The 127 health workers enduring mold and mustiness in a state agency building are getting some relief: They’re moving out next week. 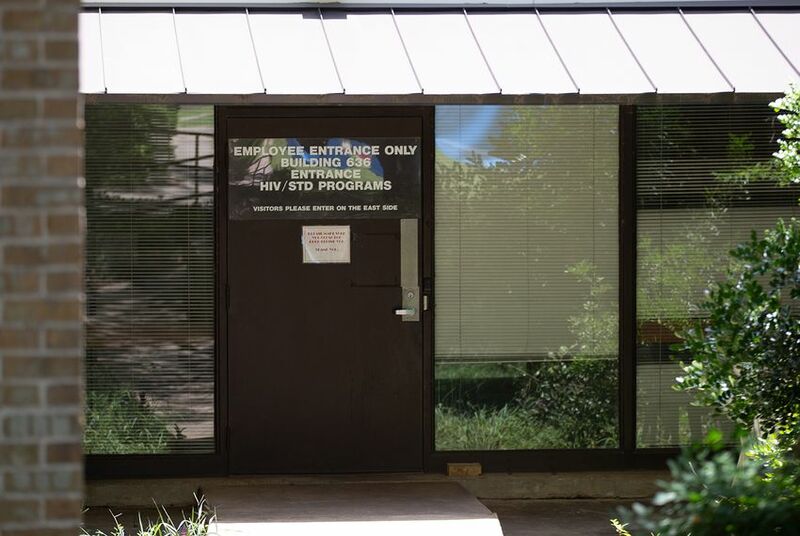 Starting Monday, Texas Department of State Health Services employees whose job it is to analyze data on tuberculosis, HIV and sexually transmitted diseases are being relocated from the Austin State Hospital 636 building where a mold infestation has invaded their desks, chairs, carpeting and keyboard hand rests, causing health concerns. The news comes one day after The Texas Tribune revealed the mold incursion and reported that legal counsel was advising against putting any new staffers in the building. At the time, management was unable to say what that would mean for current staff. Lara Anton, a spokesperson with the Texas Department of State Health Services, confirmed the news in an emailed statement. She said the agency has been working with the Texas Health and Human Services Commission to find new work space for employees who are not able to telework. “Because we want our employees to have access to a comfortable and safe environment, the building has been vacated, and all employees will attend a meeting on Monday morning to get their temporary workspace assignments as more permanent offices are arranged,” Anton said. A department memo, emails obtained by The Texas Tribune and inquiries to the Texas Health and Human Services Commission and Department of State Health Services revealed $16,261.19 spent so far on dehumidifiers and a mold assessment, and some workers placed on emergency leave or relocated to vacant cubicles or a nearby building. The Department of State Health Services has so far spent $11,434.95 alone on dehumidifiers to fight the mold. As of July 2, the agency is renting six large dehumidifiers — $90 each for a total of $540 per day — so far racking up $10,260. In addition, the agency purchased five small dehumidifiers for $1,174.95. The Texas Health and Human Services Commission paid Baer Engineering and Environmental Consulting $4,826.24 to conduct a mold assessment in late June. The Baer Engineering report said "visible suspect mold was observed on desks, cabinets, chairs, carpet, walls, and around skylights." The report found that there was mold seen or detected throughout the dozen areas inside the building where samples were taken. Baer Engineering noted that the building's heating, ventilation and air conditioning system was a factor, since "cycling at nights and weekends is causing temperature and humidity issues that promote mold growth." The company recommended the agency either professionally clean or toss all furniture contaminated by mold; remove and replace damaged drywall in three areas of the building; keep the humidity at or below 65 percent or the temperature at or below 82 degrees Fahrenheit; and have the building ventilation evaluated by a specialist.